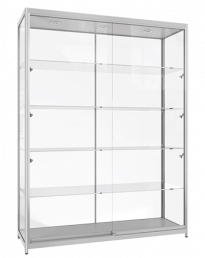 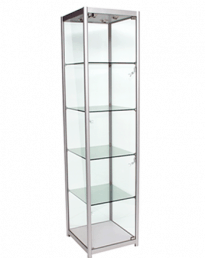 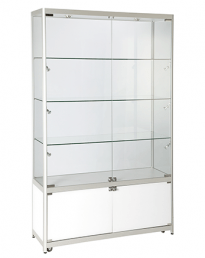 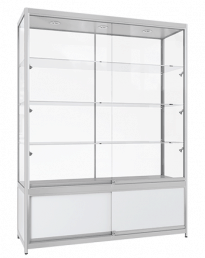 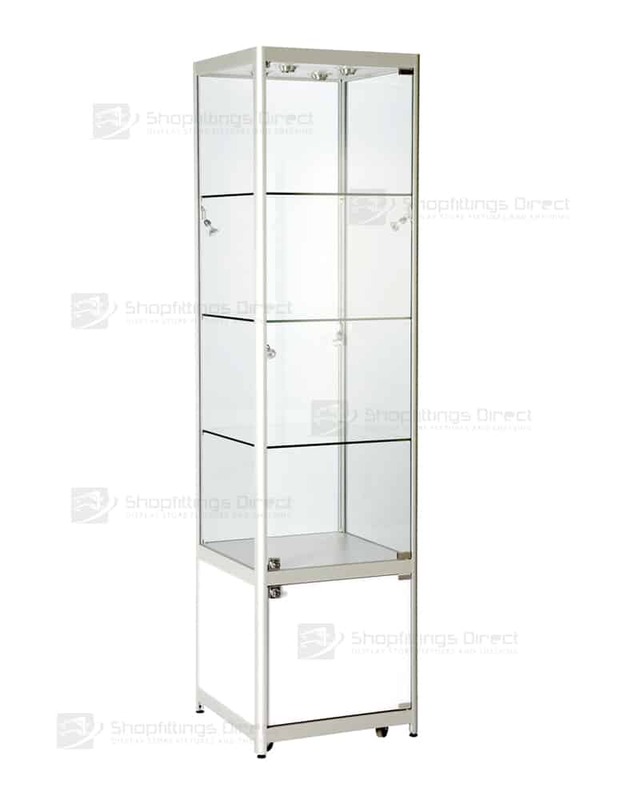 Beautiful aluminium framed display tower with a lower storage cabinet. 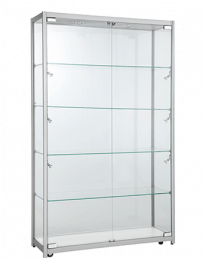 Full view glass, clear hinged door, sides & back. 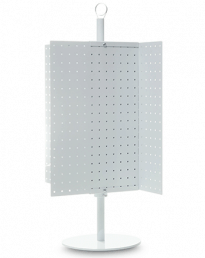 Compact foot print, 4 directional display capability perfect as a central presentation. 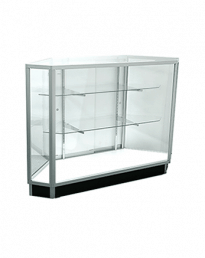 7mm thick overall Safety glass panel construction. 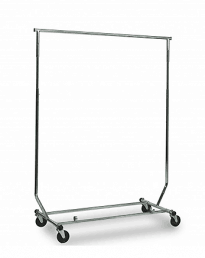 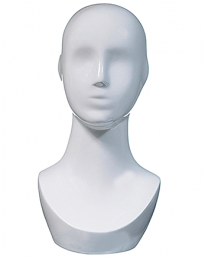 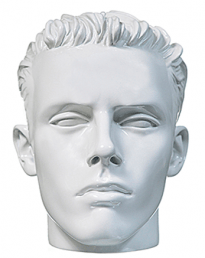 Supplied in DIY kit-form for easy, low cost shipping throughout Australia. 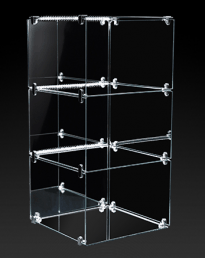 3 x Glass shelf levels, individually adjustable in height. 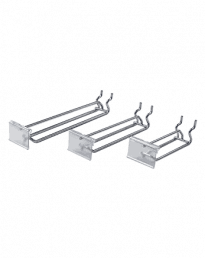 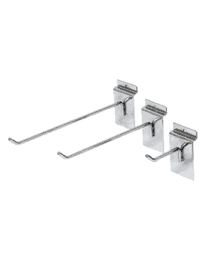 Inbuilt corner frame levelers, to stabilise & lock into place on uneven floors. 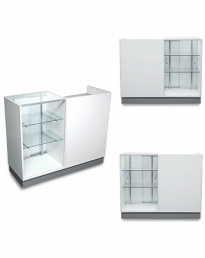 Finish Anodised radius frame and clear safety glass panels, white melamine infill panels.